Product #15475 | SKU 055411 | 0.0 (no ratings yet) Thanks for your rating! 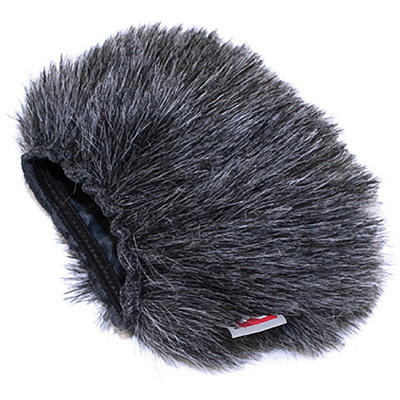 The Rycote Mini Windjammer for Roland R-05 and Tascam DR-05 is a lined slip-on faux fur cover designed for use with the Roland R-05 and Tascam DR-05 digital recorders. It has a windshield rating of medium that provides approximately 30dB of reduction from the effects of high-gust wind noise and vocal plosives. The Mini Windjammer can be used over a foam windscreen or on its own. A touch fastener strap secures the cover in place.